Porsche have priced the 911 Carrera S at Rs 1.82 Crore (ex-showroom) and the 911 Carrera S Cabriolet at Rs 1.99 Crore (ex-showroom). Porsche has launched the eighth generation of the 911 in India today. 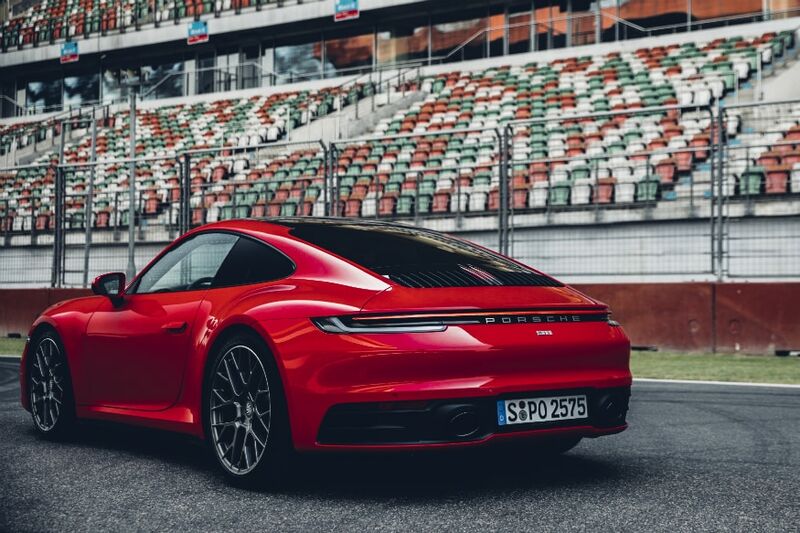 Revealed on track at the Buddh International Circuit, the 911 Carrera S highlighted the design and performance evolution of the brand’s most iconic sports car. The rear-engine model range has been redesigned and now showcases a more muscular look that pays tribute to its past, while also embracing the future with technology woven into its DNA. Porsche have priced the 911 Carrera S at Rs 1.82 Crore (ex-showroom) and the 911 Carrera S Cabriolet at Rs 1.99 Crore (ex-showroom). The turbocharged flat-six engine of the 911 Carrera S and the Carrera S Cabriolet now produces 450 hp. This corresponds to an increase of 30 hp compared with the previous generation. Porsche claims that both 911 models beat the four-second mark for acceleration from zero to 100 km/h: the rear-wheel drive 911 Carrera S needs 3.7 seconds and the Carrera S Cabriolet just 3.9 seconds. This makes both cars 0.4 seconds faster than their predecessors. The optional Sport Chrono Package reduces the sprint by a further 0.2 seconds, as per the German company. 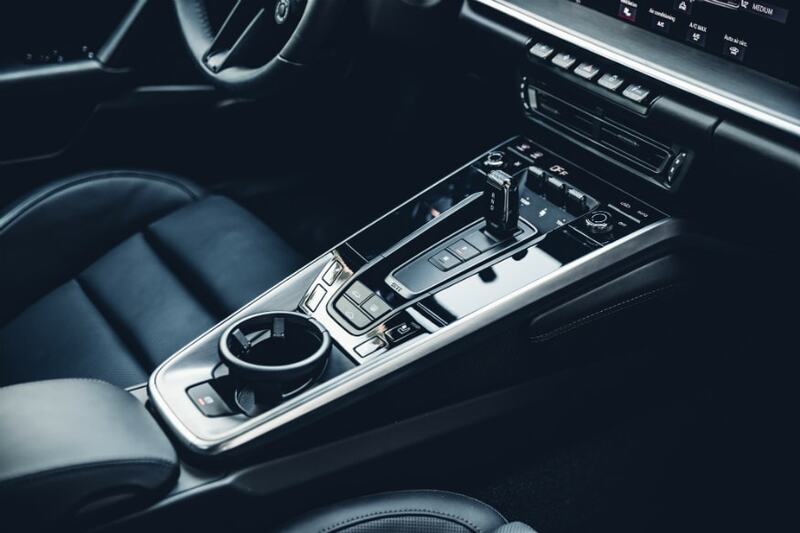 Power in the new models is delivered by a newly developed eight-speed Porsche Doppelkupplung (PDK) dual-clutch transmission. Top speeds are now measured at 308 km/h for the 911 Carrera S and 306 km/h for the soft-top version. The fuel consumption (NEDC-correlated) of the 911 Carrera S and the Carrera S Cabriolet is 8.9 l/100 km. This eighth generation Porsche 911 gets significantly wider wheel housings arch over the 50.8 cm (20”) front wheels and 53.34 cm (21”) rear wheels. The rear end is now the same width across all models, highlighting the slimline centre section. At the front, the body is 45 mm wider. Electrical pop-out handles in the doors emphasise the tapered and smooth side contour, while a bonnet with a pronounced recess evokes the design of the first 911 generations. At the rear, all models feature a rear significantly wider, variable-position rear spoiler and the seamless, elegant light strip. Apart from the front and rear sections, the entire outer shell is now made from aluminium. Porsche say they have taken inspiration from 911 models of the 1970s. Alongside the central rev counter – typical for Porsche – two thin, frameless displays supply information to the driver. The centre screen of the Porsche Communication Management (PCM) is now 27.7 cm (10.9”) and can be operated easily and without distraction thanks to the new interior design. Located underneath this there is a compact switch unit with five buttons for direct access to important vehicle functions. The seats have also been fundamentally modified. The new design reduces the vehicle weight by around three kilos, while the adapted geometry offers significantly better lateral support in the shoulder area. Although the seat is now positioned five millimetres lower and has a minimally thinner seat cushion, seating comfort has been improved overall. As far tyre configuration goes, with 50.8 cm (20”) wheels on the front axle and 53.34 cm (21”) wheels on the rear axle. At the same time, the tyres on the rear drive axle are significantly wider than on the front wheels. The combination results in increased stability, traction and balance while reduced understeer and oversteer improve safety. The refined chassis design is completed by the next generation of Porsche Active Suspension Management (PASM), which has been extensively developed for the new 911. The Carrera Cabriolet S gets new and lighter hydraulic roof drive which allows the convertible top to be opened and closed in around 12 seconds in each case – like on the previous model, this is possible at speeds up to 50 km/h. The integrated, electrically operated wind deflector ensures increased comfort in the 911 Carrera Cabriolet at higher speeds.